It’s election day in Canada! That’s kinda the same as Hockey Night in Canada, except there is less flag waving and more standing in line. Same amount of drinking though! This election is especially important because of who we currently have as Prime Minister. 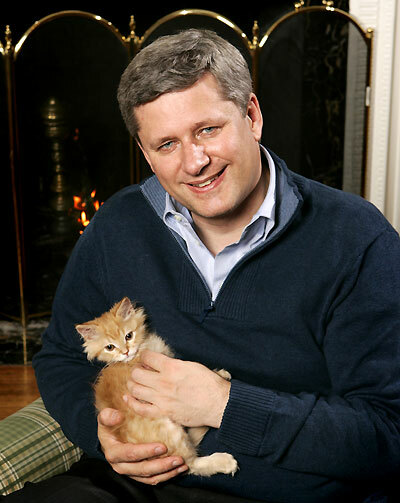 So remember, my friends, my readers, to vote AGAINST KITTEN EATING THIS ELECTION. LET ME TELL YOU ABOUT BRAIN SLUGS. BRAIN SLUGS ARE GREAT. LET’S ALL WALK AROUND THE BRAIN SLUG PLANET NOT WEARING HELMETS. DID I MENTION I LOVE BRAIN SLUGS. BRAIN SLUGS ARE GREAT. Here is a confession that will probably make all the nerds turn away in disgust: while I LOVE old futurama, it just hasn’t been the same since it came back. Much like a zombie! And speaking of zombies, my first thought when this week’s theme was finialized was this: Zombie Ants! But let’s face it, GROSS. Also I don’t want to antagonize out new fungi overlords. This week we just had to come up with something that had four W’s in it. So you bedda not steal his hobo pack! I wonder what’s in there anyways? Day 344 – CRAFT CORNER DEATH MATCH: Squirrel Attack!! Though most of them don’t have teeny nutchucks. I was so so excited about this theme. Fishwives are awesome, historically, they were sassy loudmouths who cuss. A lot. THIS ENDEARS THEM TO ME. YERMITS VS. ROBOTS VS APPLES: BATTLE OF INCOMPREHENSIBILY CUTE THINGS, OR MAYBE THINGS DRESSED AS OTHER THINGS WE DIDN’T REALLY TALK ABOUT WHAT TO CALL IT. This is week thirteen! The Theme: CHAPS AND LIPS. Chaps and Lips! Cowboys! kissing! Hooray! Her outfit matches her lips! Winter chic. It makes me want to whip out the chap stick just looking at her! check out her entry to see the insane amount of work she put into those lips. This is week twelve! The Theme: Fabric Swap. This dude looks totally legit! Let’s buy our car from him! Pink! sparkles! I love the horns, I love the sweater. It’s adorable! And I’m sorry that fabric shed all over your room. But… pink sparkles make it all better, right? NEXT WEEK: did we have a theme? fairy tales? odious people? pet peeves? This is week eight! The Theme: NASA SPACE CHALLENGE. We were inspired by the Etsy/NASA Space Contest (which sadly isn’t open to Canadians. Booo, waaah, grouse, etc). It’s probably not typical, but when I think of the history of space exploration, I think of the animals that were actually the first astronauts. And since this was specifically NASA-themed, I couldn’t do my favourite, Laika. So I thought I would do the first monkey, Albert. Like many of the animals that paved the way for human spaceflight, Albert died in flight. So when I think of the awesomeness of space, and the amazing advances NASA makes in science, I also think about the animals that were the first Earth eyes to see outside of out atmosphere. And then I think about how terrified the animals must have been, and I feel bad. Animals are pretty much always taking one for the team when it comes to humans. We are going to be SO SCREWED when they evolve opposable thumbs and giant brains. Wow. Just…. wow. Seriously, wow. Amazing. Jenny really captured all the details here, the orange suit, the pose with helmet… the flag in the background. So perfect. This is week seven (really? seven?). The Theme: ROBOT AS YERMIT / YERMIT AS ROBOT. It’s a drunken bear! Though it does kinda look like Teen Wolf Gets a Job at Sterling Cooper Draper Pryce. Ahhhhhhhhhhhhhhhhhhhhhh! amazing. How does Jenny do this every week? NEXT WEEK’S THEME: NASA! SPACE SHUTTLE! YEAH! This is week five. The Theme: Spinsters and Trollops. I chose to go with: COUGAR BOT. This is one of those bots where I know, I just know, that it’s something my mother is going to ask me to explain. As in “What’s a cougar?”. 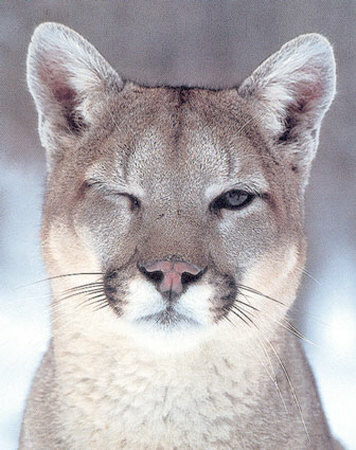 * I pre-emptively googled cougar, and mostly it’s just pictures of Demi Moore. Spinster by day, trollop by night! NEXT WEEK’S THEME: POTATOES. I AM NOT EVEN KIDDING. IT IS POTATOES.